House renovations are on everyone’s to-do list, however timing and budget don’t always add up, especially when it comes to spaces like the laundry room. Other spaces, like the kitchen or bathrooms, are always prioritized and the laundry room tends to come last, despite how often this particular room is used. With all the innovative home renovation tips available these days, this no longer has to be the case and your laundry room can finally receive the attention it deserves. As with any form of redecorating or remodeling, a budget has to be established so that you can decide on which ideas to proceed with. One way to revamp your laundry room is to give it a fresh coat of paint. This process is inexpensive and adding a new colour or colours (think accent wall) can easily create a new look for your laundry room. Keep in mind that certain rooms require specific types of paint so it wouldn’t hurt to ask for a professional opinion to ensure mistakes are not being made. With all the different painting styles available these days, the possibilities of making your laundry room seem modern and new are endless. Another great tip is to reconsider the current lighting situation. 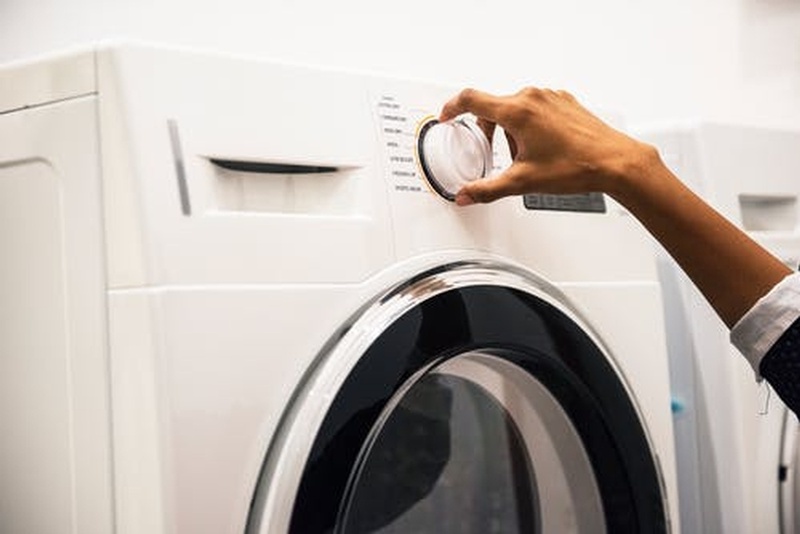 Installing new lights or adding additional lighting will change not just the way the laundry room looks, but also the way it feels. Good lighting will make the space feel more friendly and inviting, eliminating the aspect of the space being used just for chores. This is especially true if your laundry room is in a basement. The last thing you want is for the space to feel like a dungeon and installing comfortable, bright lights will automatically create a better space. Storage is another great idea that can easily revamp your laundry room. It’s safe to say that we all use our laundry rooms for more than just doing our laundry. We also store things like cleaning products, winter gear, summer gear, wrapping supplies and an endless amount of other things we don’t necessarily use all year round. Creating actual storage space with cabinets is a great way of making the space bigger, neater and brand new. Installing cabinets does not have to be expensive, especially with all of the options available to consumers these days. Instead of having random piles of stuff, storing your items in cabinets will allow you to keep your laundry room organized and spacious with zero clutter. Lastly, if your laundry room happens to be a space you spend hours in, whether to iron clothes for all of your family members or work from as an office space, you can consider adding details such as plants, picture frames and even a small television to keep you company. These are just a few tips to help make your current laundry room new, however, the possibilities are endless! If you are feeling inspired to revamp this part of your home, contact Dash Builders for a professional opinion and more great ideas. They are a dream team in the Winnipeg area who specialize in all areas of home renovations from kitchens to basements to bathrooms and everything in between!